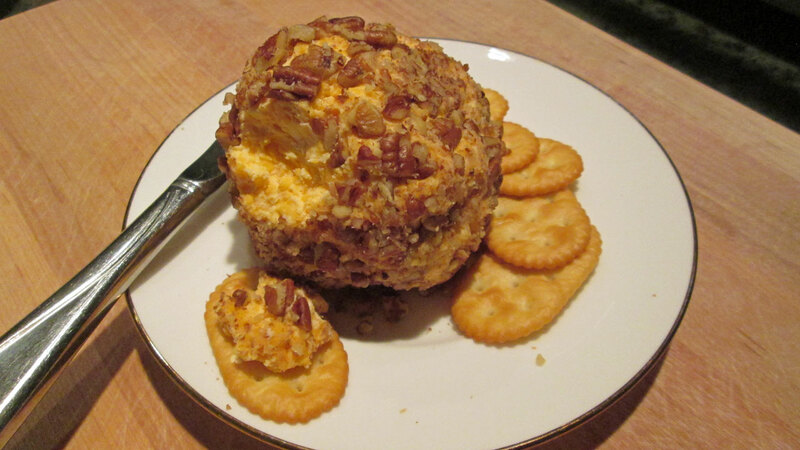 One of my favorite treats for Christmas is my very cheesy cheese ball. This recipe originated in a 1970's church cookbook and was one of the first things I learned to make myself. At first I would mix all the ingredients by hand and that was messy. I've modified the process over the years with the help of the dough maker attachment on my mixer and it is super easy and clean to do now. Even with filming, I made these 5 cheese balls in under 45 minutes. Speaking of filming, I had a bit of help at the beginning and the end. The camera man got to clean up the bowl though there wasn't much for him there. 1 lb. Velveeta, softened and cut into cubes. I used shredded Velvetta in the video. Add first 4 ingredients to mixing bowl sprinkling the garlic powder over the cheeses. Use dough maker attachment to blend with heavy stand mixer. Wet hands and form cheese balls to desired sizes. I just got a Kitchenaid last week--can't wait to make your cheese balls. Thanks for the recipe. Looks delicious! And I love seeing you in the kitchen! !